The TonnoPro TonnoFold Tri-Folding Tonneau Cover has become the fastest growing cover in it’s class! And for good reason. The hinged together sections make it easy to fold it into a more company unit. You can remove it in seconds when you have oversized cargo or simply fold it forward to lock in place for smaller loads. 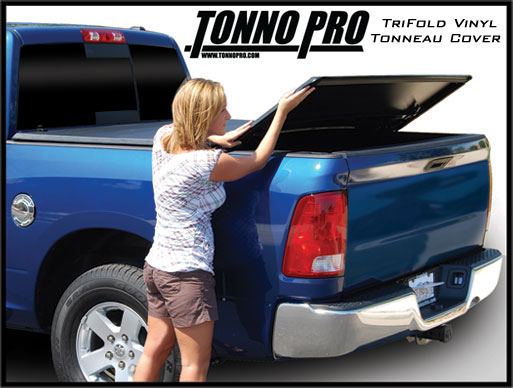 Call Mr. Kustom Chicago today to have a Tonno Pro Tonneau Cover installed on your vehicle today! This entry was posted in Blog and tagged automotive industry, car accessories, mr. kustom chicago, tonneau cover, tonno pro.